iZindaba Zokudla (Conversations about Food) will this month host the inaugural conference for the African Association for Vertical Farming (AAVF) at the University of Johannesburg's (UJ) Soweto Campus, 9-10 April. The event aims to offer sustainable and innovative solutions for emergent farmers and other entrepreneurs in Johannesburg. iZindaba Zokudla is a multi-stakeholder engagement research project led by Dr Naudé Malan of the Department of Anthropology and Development Studies at UJ. “We are delighted to host this conference as we can see many benefits in the future for new approaches to urban agriculture in a sustainable food system in Soweto,” says Dr Naudé Malan, senior lecturer in development studies at UJ. The continually-growing world population, the global trend to urbanisation, climate change and pressure on natural resources are key drivers for policies on global food security. 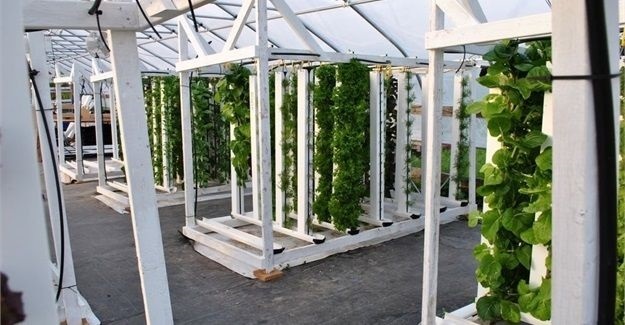 Vertical farming is an innovative methodology for vertical cultivation of agricultural products, which can also realise true zero-mile city food supply. Vertical farms can be built in new or existing buildings and provide significant benefits in environmental sustainability and human health, minimising the need for water and nutrients, and eliminating pesticides and fungicides, which are now needed in reduced quantities. “The increasing number of people in cities requires new strategies to supply the necessary food with limited provision of land and decreasing resources. This will become more challenging unless innovative solutions for growing and distributing food in urban environments are considered,” explains Malan. The conference aims to bring together new and established farmers, scientists, engineers, industrialists and policymakers to discuss current ideas, technologies, commercial applications and research opportunities in vertical farming and urban agriculture. It will evaluate the benefits, opportunities, risks and challenges of vertical farming / urban agriculture and provide a forum for establishing research collaboration and networking between academic researchers and commercial interests. From traditional farmer to vertical farmer. iZindaba Zokudla will be hosting the Farmers Lab at the Soweto Campus which is pioneering methods to integrate emerging enterprises with the research and programmes that the UJ offers.